The Iron Railroad began operations in 1851 with six miles of track, including 1050-foot Royersville Tunnel, to transport iron ore, coal, limestone, and timber to the Ohio River at Ironton. 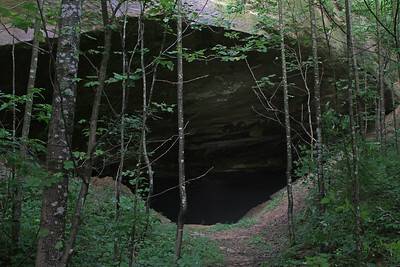 The route was soon extended to Center Furnace and then on to Jackson. Through acquisitions and mergers, the Iron Railroad was reorganized as the Detroit, Toledo & Ironton (DT&I) Railway in 1905 and stretched 378 miles between its namesake cities. When Henry Ford acquired the DT&I in 1920 to service his Dearborn auto plants, the cash-strapped railroad received significant investment after years of deferred maintenance. Ford sold the DT&I to the Pennsylvania Railroad in 1929, where it remained an independent subsidiary until sold off during Penn Central's bankruptcy. 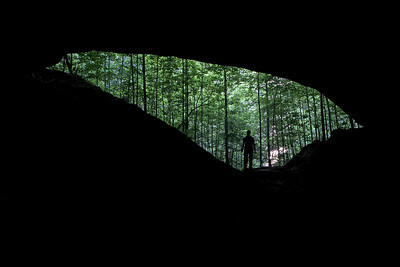 The railroad was acquired again by the Grand Trunk Western (GTW) in 1979 and, following the closure of most mines and industries along the the route, the original Ironton Branch and Royersville Tunnel were abandoned in 1982. 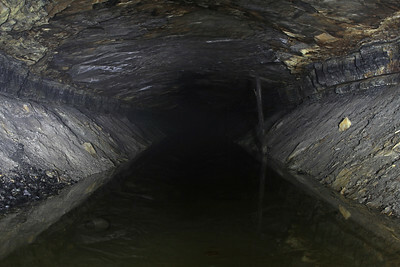 Royersville Tunnel was curved, bored through a coal seam, and required steep grades at each end. 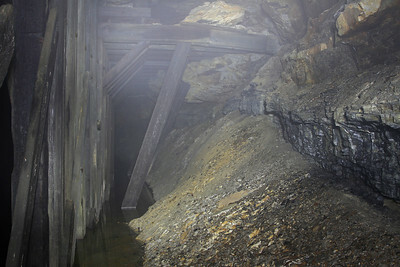 The tunnel suffered frequent rockfalls during its more than 130 years of service, necessitating both a tunnel watchman and speed restriction. 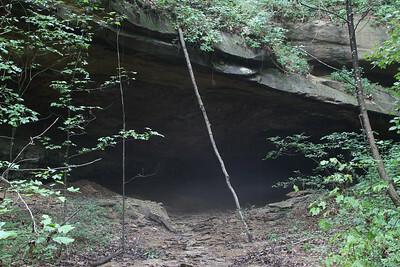 A collapse and subsequent construction during Ford's ownership reduced the tunnel length from 1050 to 920 feet. Still, its 15-foot height became an obstacle in later years due to clearance requirements of modern freight cars. 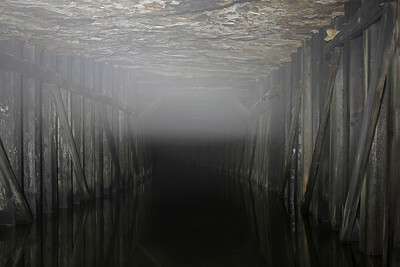 Today, the tunnel is passable from end-to-end but collapses at both portals have resulted in several feet of water for much of its length. Flooding just within the north portal. A timber-lined curve to the right is out of sight due to fog.